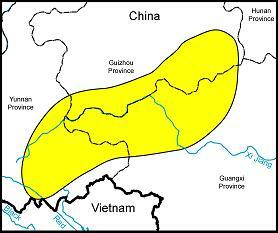 Described: Tang & Wang in Bulletin of the Fan Memorial Institute of Biology, Peiping, 10: 24 (1940), based on materials collected by the French botanists Cavalerie and Fortunat in Guizhou Province in China. 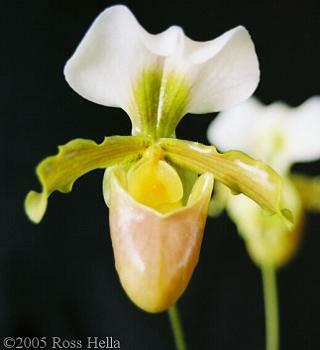 Etymology: Derived from the latin barba, meaning 'beard'; named for the tuft of hairs at the base of each petal. 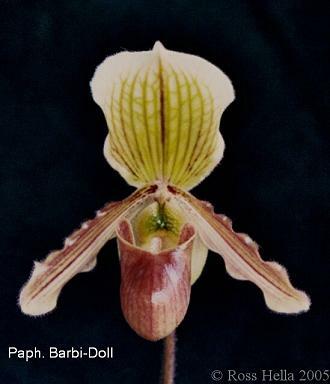 Paphiopedilum barbigerum fma. 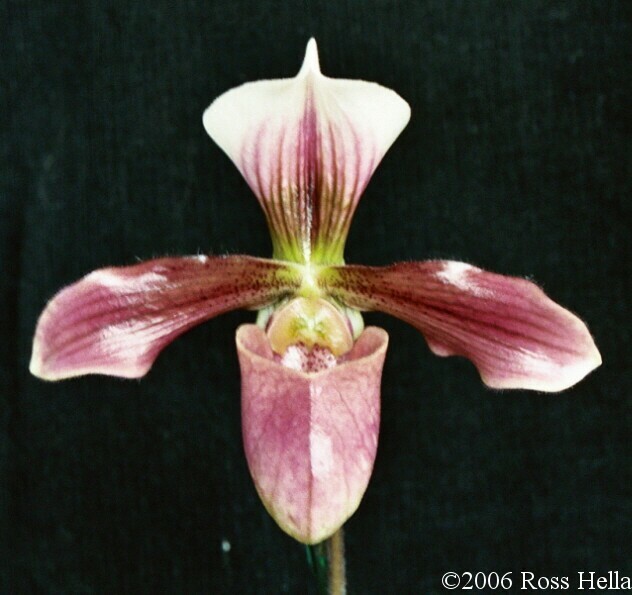 aureum (Hua in Orchids, 68(3): 242-243 (1999)) Braem, Baker & Baker in The Genus Paphiopedilum, 2: 217 (1998) OR Gruss & Roeth in Caesiana 12: 59 (1999) - albino form; who transferred this taxon to its current status is unclear, as I don't know the publication dates of the respective documents. 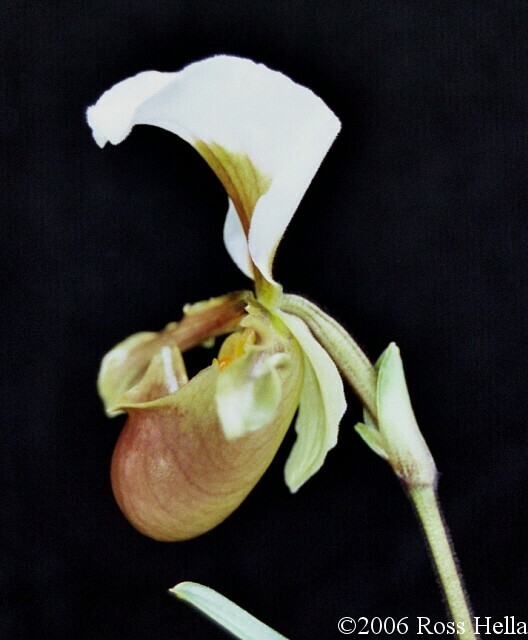 Karasawa, K., and M. Aoyama. 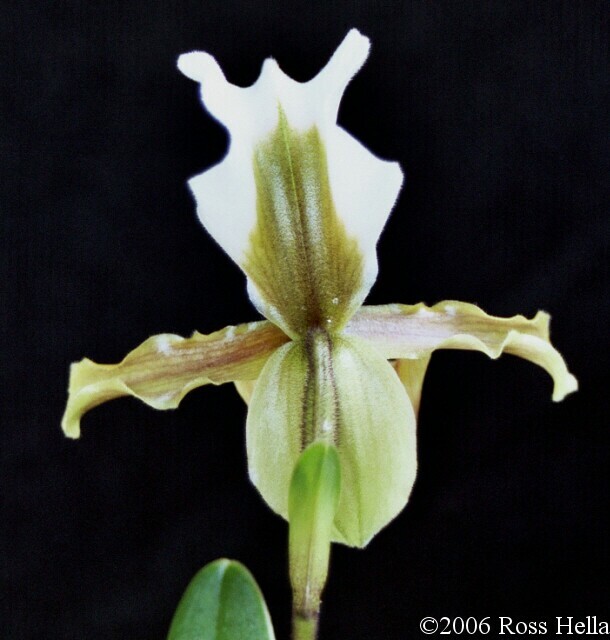 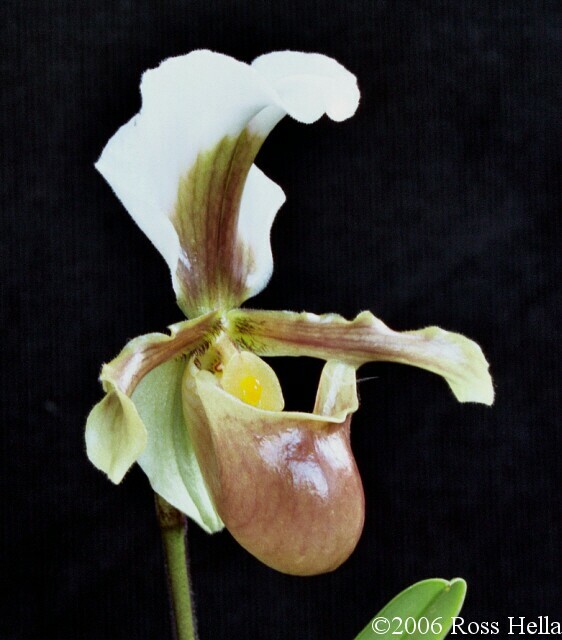 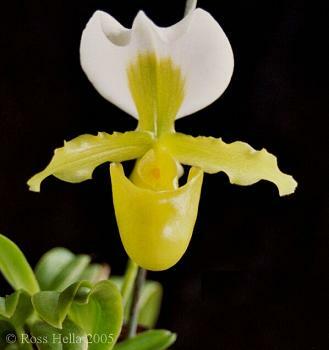 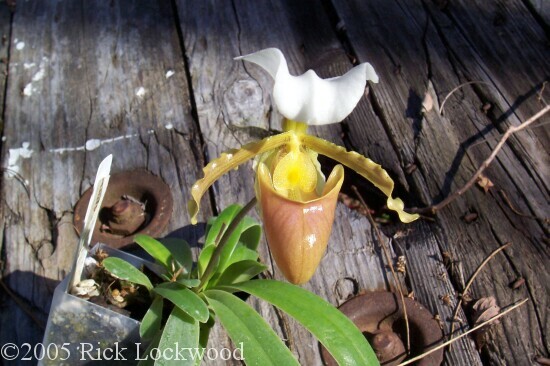 "Karyomorphological Studies on Two Species of Paphiopedilum." 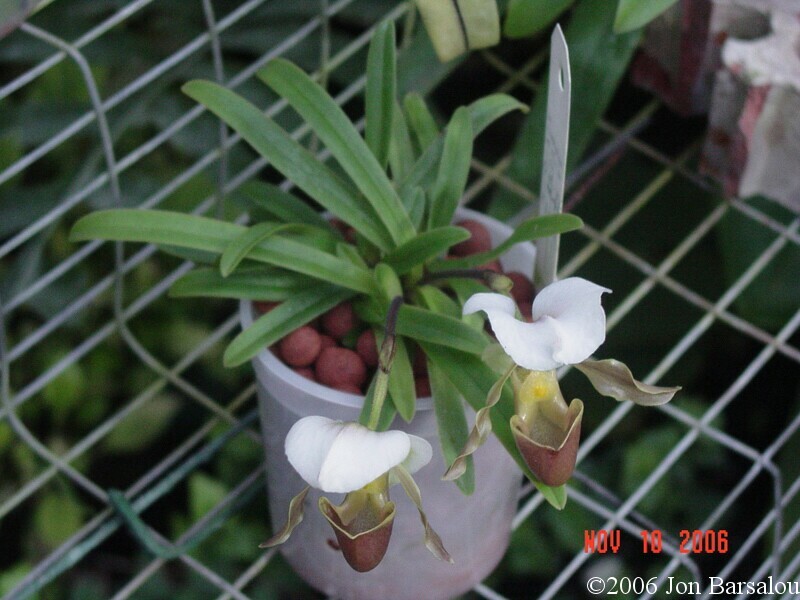 Bulletin of the Hiroshima Botanical Garden 10 (1988): 1-6.